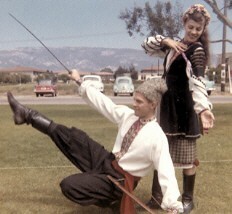 Vincent Leroy "Vince" Evanchuk and Roberta "Robin" Evanchuk were long-time folk dancers, performers, and instructors in the Los Angeles, California, area. 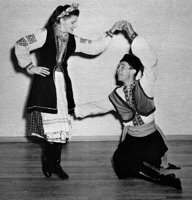 Vince's speciality is Ukrainian dance and Robin's is American dance, especially Cajun and those of the Ozark area. The couple collaborated on all their dance material. Vince was born on May 9, 1937. Both Vince and Robin taught the Santa Monica Teen Age Folk Dancers and were performers with the Gandy Dancers then later with Westwind, an ensemble they founded in Southern California that performed with its own group of musicians and singers. 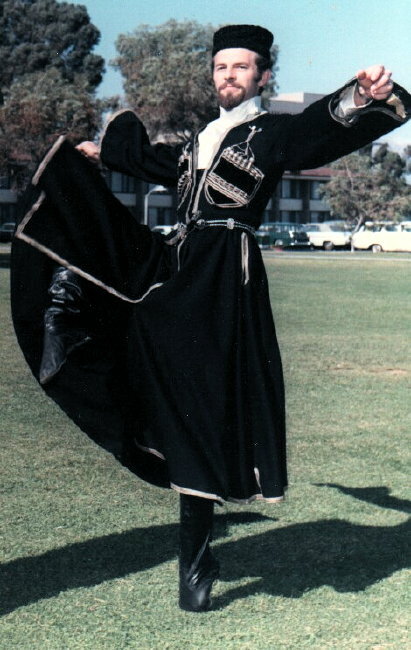 Robin was also active in the Folk Dance Federation of California (South) as historian. Vince was born in Winipeg, Manitoba, where he began his dancing career at the age of 2 1/2. 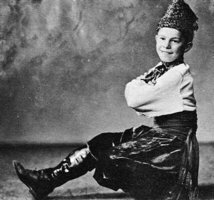 His school-teacher father, the foremost teacher of Ukrainian dance in Canada, was his mentor. He was a graduate of the University of California at Los Angeles (UCLA), where he attained a Masters degree in engineering. He worked for a short time in the Electrical Control Systems Section of the Missle Division of Douglas Aircraft. In addition to his Masters, Vince had two Master's degrees in spacecraft engineering and in 1964 was hired by Jet Propulsion Laboratories in Pasadena, California. 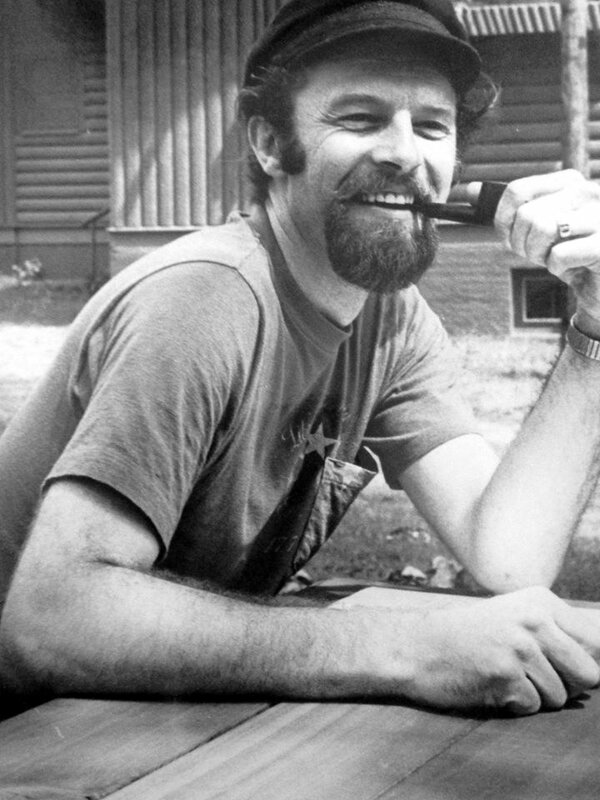 He worked in the telemetry division sending unmanned spacecraft to the moon and all of the planets. Vince (with Robin as second in command) formed a Ukrainian troupe in the Los Angeles area named by his father Sianka (meaning planting, growing, sowing, etc.). It was among the groups that did the first Christmas Show at Disneyland in 1956. Vince's method of first limbering up and toning seldom-used muscles is now standard procedure at many folk dance camps and clubs. Robin was born in Boston, Massachusetts, and has danced almost as long as she has been able to walk, but it wasn't until her freshman year in college that she started folk dancing. For years, Robin made her living as a librarian for a Medical Laboratory. She now holds a B.A. degree from UCLA in Theater Arts Dance, and a Ph.D. in Folklore. Robin (with Vince as second in command) formed two American groups. One was the Liberty Assembly, named after a "dance assembly," an early American organization that produced social items with invitations such as annual spring dance, Christmas get-together, New Year's Eve Ball, etc. By the beginning of the American Revolution those in favor of sticking with Merry old England, refused to attend. So it was called the "Liberty Assembly" catering to those that were "for" Independence. They created lovely longways sets calling them "The Independence," "Washington's Victory," and "The President," which drove the British crazy! Robin's "Liberty Assembly" was quite busy during the American bi-centennial. They traveled to Wisconsin to participate in their bi-centennial performances during their state fair. The other American group was composed mostly of Folklore and Mythology graduate students at UCLA during the late 1970's and 1980's. It was called Folklorismus. They did a reproduction of a summer dance event during the Civil War given by Phineas Banning. They performed at the actual Banning Residence where the party took place. Vince delved into art, with pastels his favorite medium. Robin says, "Although he would like to have shown some of his work, I won't part with many of them. I have them hanging everywhere." Robin, on the other hand, is semi-retired. She has choreographed for the play "Quilters" and has produced a third book. She is currently into teaching folkloristics and fieldwork techniques. Vince passed away on Saturday, May 23, 2015. Robin lives in Sarasota, Florida. When the Curtain Goes Up, the Gods Come Down: Aspects of Performance in Public Ceremonies of Orisha Worship. UCLA, 1996. Santeria Garments and Altars: Speaking Without a Voice. with Ysamur Flores-Pena, University Press of Mississippi, 1994. Dancing in the Aisles: The Return of Liturgical Dance to Sacred Spaces. The University of Alabama Press (forthcoming). 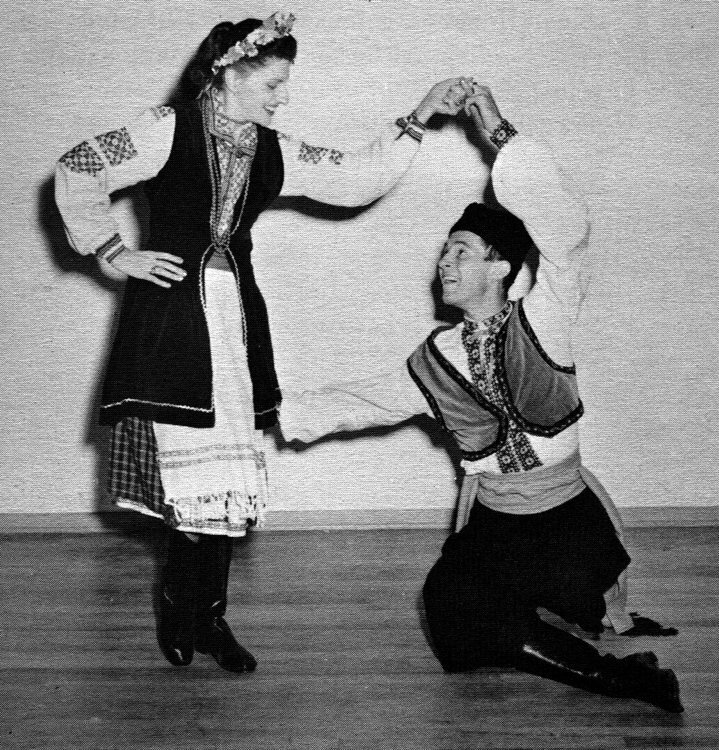 Dances Vince and Robin have taught include Arkan, Arkan iz Smodne, Aviene, Bulba, Chumak, City Quadrilles, Hoinei Viter, Hopak, Hopak Kolom, Hutsulka, Hutzulski Arkon, Kartului, Katerena, Katherine (Kuciarava Katherine), Khorovod, Kolomeyka w Dvi Pari, Kolomeyka w Swa Pari, Kozachok, La Violette, Les Danses Rondes, Parbuke, Pleskatch, Priglazenie, Ravichanuke, Roman, Tabakaryaska, Tarskarpathian Čardáš, Trezoob, Velikiodnia Haivka, and Zhuravel.